I'm again this year raising money in support of the Pancreatic Cancer Action Network by participating in Purple Stride. Please Help raise funds for the research needed to eradicate Cancer in our lifetimes !! Only 20% of the total funding for cancer research comes from the private sector. I personally want to change that statistic by getting more funding from everyone affected by cancer. Whether we realize it or not, we are affecting everyone around us with our every move. The more that we can shine a light on the positivity and the goodness that there is in our humanity, the better off we're all going to be. As part of our life journey together, why not help each to make this journey as great as possible? Please join me in this fight to stop Cancer in our lifetime. 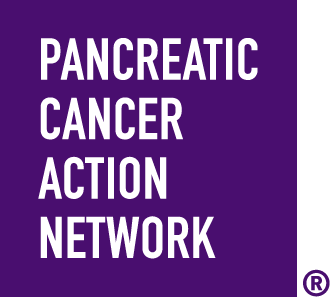 Pancreatic cancer is the number three deadliest cancer killer today and more than 45,000 people will die from this disease this year. I truly believe, with more research funding, the number of annual deaths can be reduced. Last year because of people like you, I was able to raise almost $7,000. I hope this year with the help of my family and many friends, I can surpass last years unbelievable achievement. Won't you please join us and donate just $5 today?